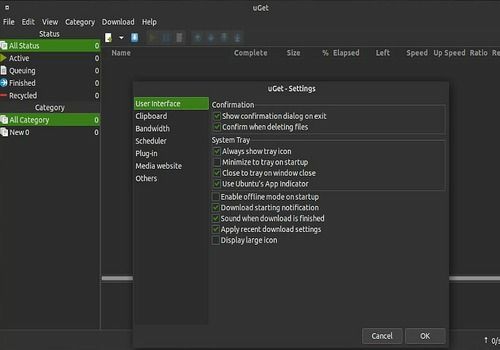 UGet is a free download manager, but also a frontend for Aria2, the multi-protocol, multi-platform download system that is a reference in this field. If you prefer the browser version of Uget, please note that Firefox, Chrome, Chromium, Chromium, Opera and Vivaldi support the official extension that offers the possibility to retrieve content directly from a page. If you are also told that Uget is free, free and very light, you will be happy. And we're telling you. So speed up your downloads with this software that doesn't take up any space and does what you ask, nothing more. The PopCorn Time installer that does not require a jailbreak, to download without further delay and before its possible disappearance. Everything you need to start your webradio is included with SAM Broadcaster Cloud. Have fun, make your voice heard and share your passion for music. And why not make it your job? Broadcast like a pro! Ultimate download manager and not so difficult to access, Aria2 fills the void left by all download managers who have disappeared from circulation. A tool for geeks, but accessible if you take the trouble. Jdownloader is a software that manages your downloads from many platforms such as Rapidshare, Uptobox and 1 file.